I want to surprise my girlfriend by showing up to her house with a mariachi and proposing to her so shouldn't take more then 15min. Arriving on the music scene in the late 19th century, Mariachi Bands brought an upbeat yet traditional sound to Mexican culture. With a blend of guitars, violins, trumpets, the guitarron, and the vihuela, Mariachi music can truly liven up a party! The upbeat authentic Mexican folk music is the perfect accompaniment for wedding receptions, Cinco de Mayo parties, and so much more. 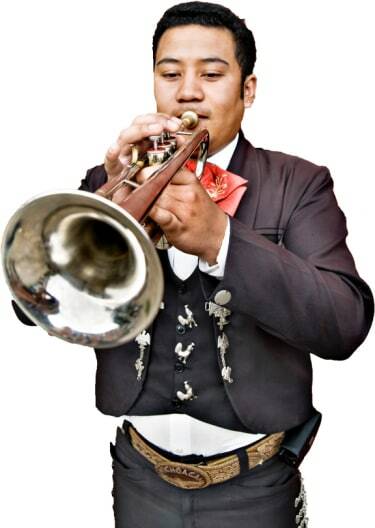 Search for Mariachi Bands in Alexandria, Virginia above. Please note that these Mariachi Bands may also travel to Crystal City, Cannon, National Harbor, Forest Heights, Oxon Hill, Ft Myer, Washington Navy Yard, Kingstowne, Naval Anacost Annex, Rosslyn, Hillcrest Heights, Fort Washington, Temple Hills, Fort Hunt, Franconia, Springfield, Suitland, Falls Church, Camp Springs, Mount Vernon, Newington, Capitol Heights, District Heights, Clinton, Fairmount Heights, Fort Belvoir, Merrifield, Mount Rainier, Colmar Manor, and Seat Pleasant.